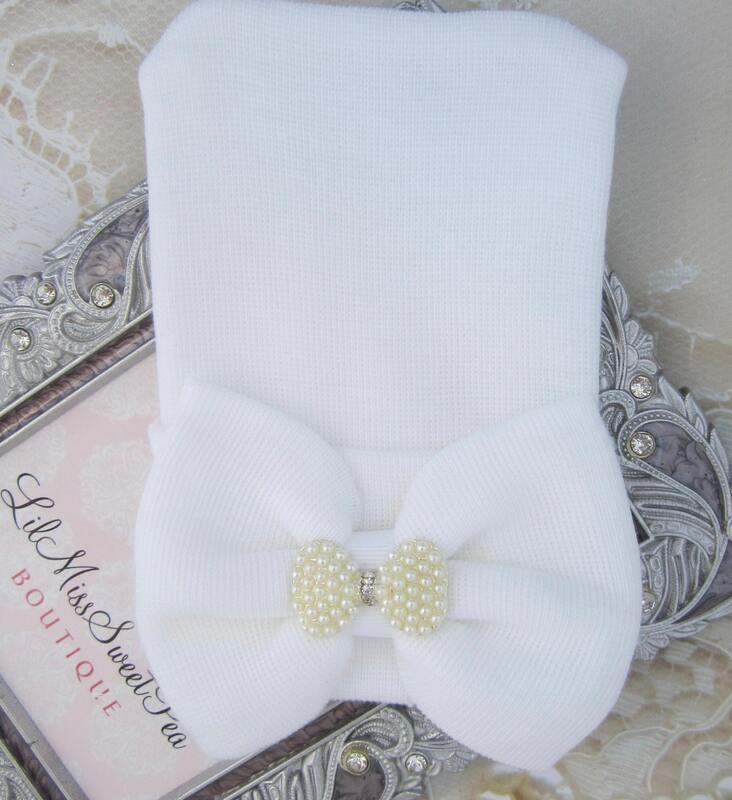 Newborn Hospital Hat, white with fabric bow and rhinestone pearl bow, infant hat, baby hat, from Lil Miss Sweet Pea. 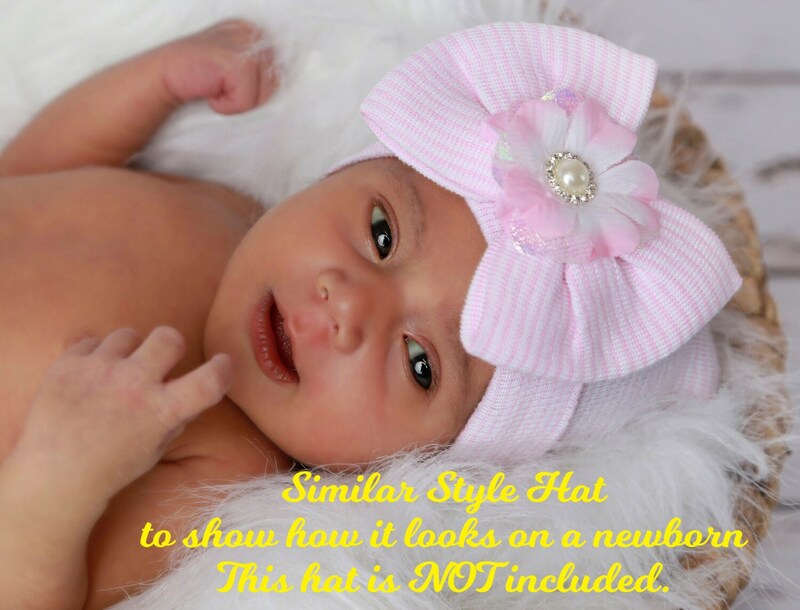 Our hats and the fabric itself are made in USA, latex free. 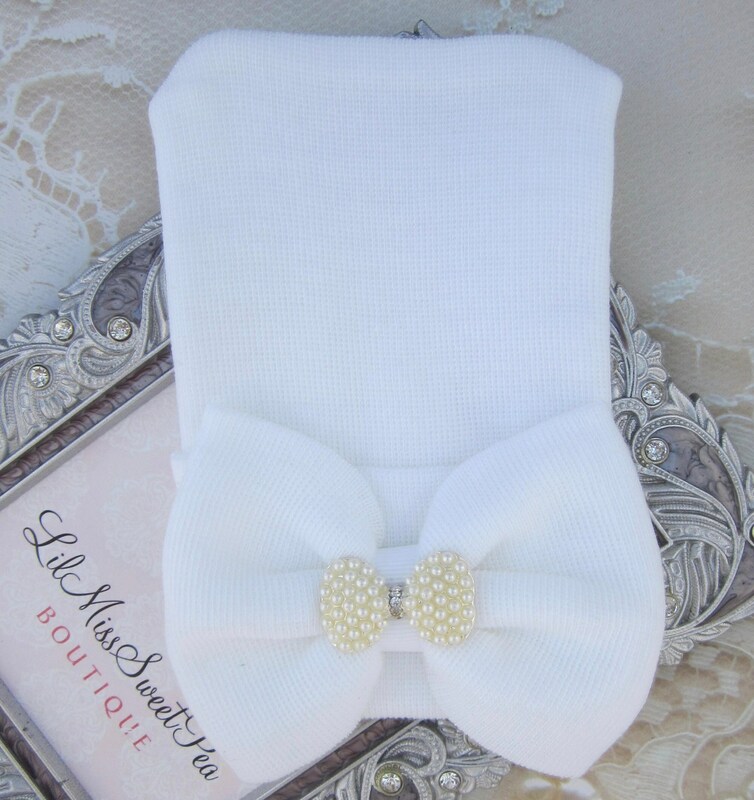 **** Other styles of rhinestones and bows can be found in other listings in our store under the NEWBORN HOSPITAL HATS.